If you’re looking for cars for sale in Aberdeen, Olympia Auto Mall should be on the top of your list of options. We are located near Aberdeen and offer a wide range of both new and used cars for you to choose from. 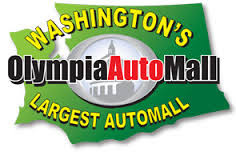 We understand that you’re probably going to want to shop around to find the best deal and of course we want to urge you to choose Olympia Auto Mall, one of the best car dealers in your area. You will be presented with a wide array of options to choose from. You will also have access to some of the latest models on the market. You will have access to some great optional extras. If you want a new rims / tires fitted – that should be no problem. Want anti smash and grab installed? That should also be no problem. Leading dealerships can offer you a great deal more than private sellers or smaller second hand car dealers can. Obtaining the best and most affordable finance deals is made simple. A professional dealership will handle the entire application process for you. All you will need to do is choose the car you want and provide the required documentation. It’s hassle free! Leading car dealers will be able to offer you the best rates on trade-ins. Of course this is best if you are using your existing vehicle towards the down payment for your new car. The more reputable the dealership, the fairer you can expect your trade-in deal to be. Pre-owned cars will be certified and serviced by the dealership before being sold to you. This means that the car will be in good working condition, as checked by professional mechanics and you should be provided with a full service log as well. Having peace of mind is one of the biggest advantages of working with leading dealerships. If you’re shopping around for cars for sale in Aberdeen, take a quick drive to Olympia Auto Mall. We are just around the corner and have the widest selection of options for you to choose from. We can assist you with vehicle finance and look forward to assisting you with finding your next car. Visit our showroom or book a test drive today! Alternatively, contact us for more information and advice on our range of cars and auto services.